We are grateful for the love and care that you tangibly express through your partnership with us in this ministry. Your prayers and support are invaluable gifts. Thank you. The summer months have been a wonderful blessing. The days have been warm and bright. We’ve enjoyed several encouraging visits from friends and family, including one from my sister and four of her children. She and her husband live in Ohio, and they have six children, three of whom are adopted. Two were rescued as infants from a very bad situation. 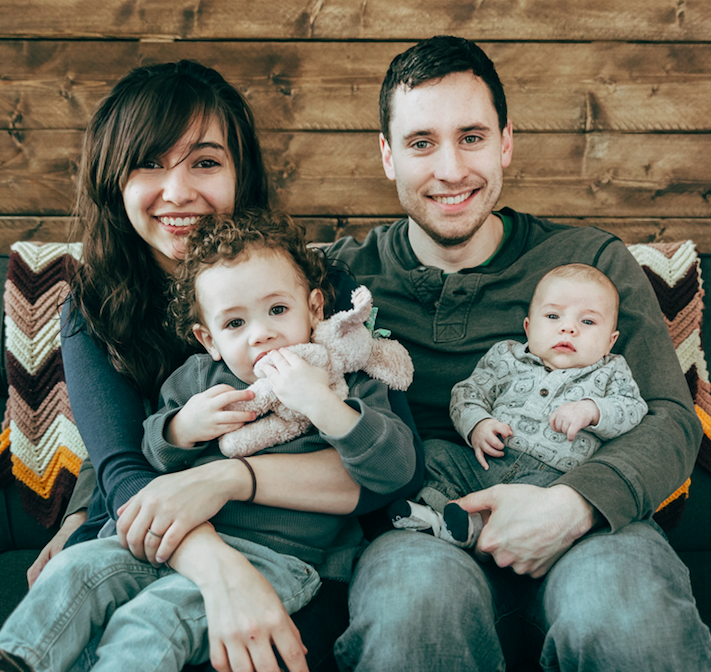 I can’t help but see a picture of God’s redeeming grace, as they are now in a loving Christian home. 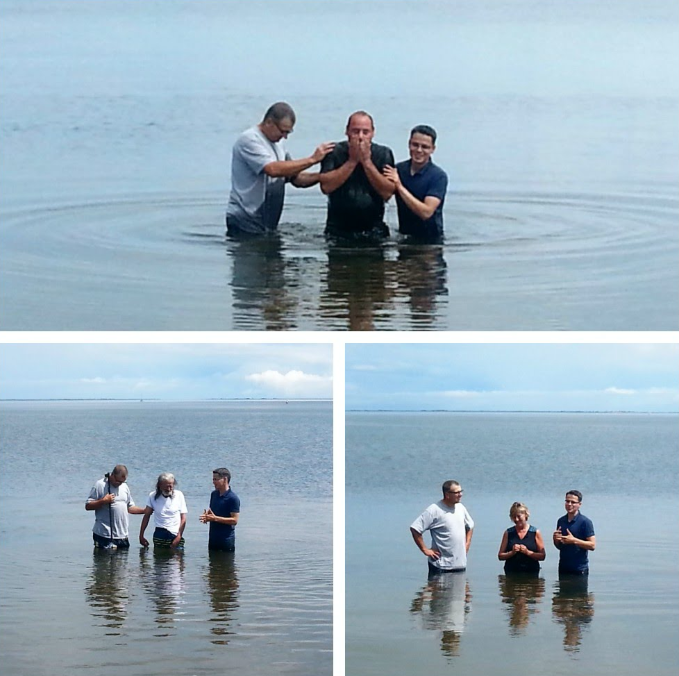 Another picture of God’s redeeming grace that took place this summer was the recent baptism of three people. Each of them have been attending the church for well over a year. 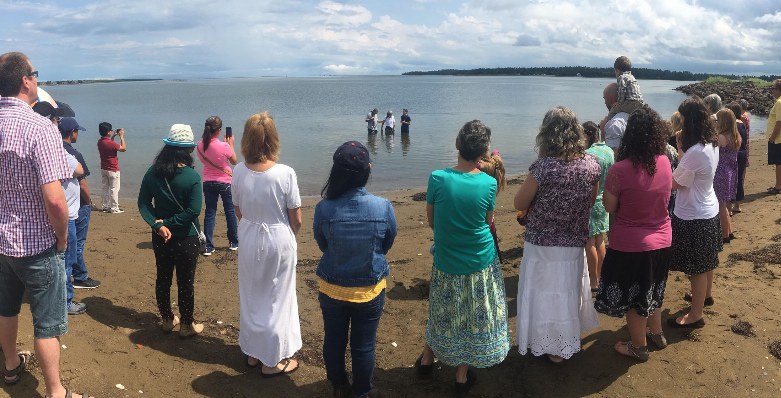 They desired to publicly profess their faith in Christ through baptism. One of those baptized was a young man who had been walking through a difficult time in the loss of his mother. It was a friend from work who invited him to the church. The Gospel was clearly explained to him on several occasions. He then expressed his desire to follow Jesus. He said that coming to this church literally saved his life, and he told me that he has now found a new family. His baptism was a great joy in my heart. One of the others who were baptized that day was a neighbor of ours whom we met and shared the Gospel with not long after we moved into our home. She started attending the church a few months later, desiring to know more. After several weeks of sitting under the preaching of His Word, she was hopeful of eternal life. Soon after, she too faced a great tragedy in her family. Her youngest son took his own life. One can only imagine the pain she felt. I praise the Lord that this trial in her young Christian life only made her cling more closely to Christ and His Word. Her baptism was a testimony of God’s sustaining grace. One more blessing this summer took part at the annual scallop festival. For the third year in a row the church set up a table with Bibles, tracts, evangelistic DVDs, and church invitations. For three days, church members took turns at the table engaging people in conversation and distributing these materials. This is the busiest local outdoor events of the year and a good opportunity for us as a church to reach out to our community. We have already seen fruit from our efforts. An older man whom we spoke to at the table attended a service this past Sunday morning with a friend. They said that they would be back. We rejoice in God’s steadfast love and redeeming grace! Please continue to pray for us. Thank you very much for all your support financially and for your prayers for each one of us. Since the last report, we have had some personal struggles. One of the struggles that we faced this past week was the news that we received from our doctor. He told us that the child my wife was carrying was a non-viable fetus, which means my wife will soon have a miscarriage. This was hard news for us to hear, but we have committed it to the hands of our Lord and we trust in Him in this time of difficulty. Even in this difficult time, my wife has been encouraged by many of the women from our church. Upon hearing the news, they have been texting her and many have visited her. We praise the Lord His body in times like this. Greetings in the name of our Lord and Savior, Jesus Christ, from the work He is accomplishing in Fredericton, NB, Canada. In the warmer months here in Fredericton, people are very active, and rarely home. For that reason, I often go and evangelize on the streets (or parks), just handing out tracts, and praying that the Lord would open a door. Many times, the moment I began to talk about Jesus, people would beg with me to stop. It reminded me of Matthew 8, when Jesus went to the Gadarenes. After sending the demons into the pigs, it says the village came out and begged him to depart from them. There is a serious hardness to the gospel in this city, not unlike many other places in the world. The respect for religion that use to exist in this region, has evaporated almost entirely. Please pray that God would have mercy on this city. I do rejoice in the Lord’s mercy, and the fact that there have been four professions of faith in the last month. One was a young man who, though a difficult trial in his life, was brought very low. The Lord used the preaching of Dave to convict him of his sin, and reveal to him that his previous “conversion” may have been spurious. An elderly man whom I visited with another elder made the second profession. He is consistently turning from the sin in his life. Please pray for him. Pray that God would protect him from his violent neighbor, who has been known to be physically violent with him. The other two professions were made by two young men from a new family that just began attending in May. I have been praying for the older of the two for almost two years. Our first meeting was a heartbreaking meeting. I pleaded with him to come to Christ, but he refused. He said he loved his sin more, and that he supposed it was his lot to be condemned. He knew what was right, but he could not bring himself to do it. I left his apartment that night very sad. I have now had the privilege of harvesting what many have planted and watered over the years. 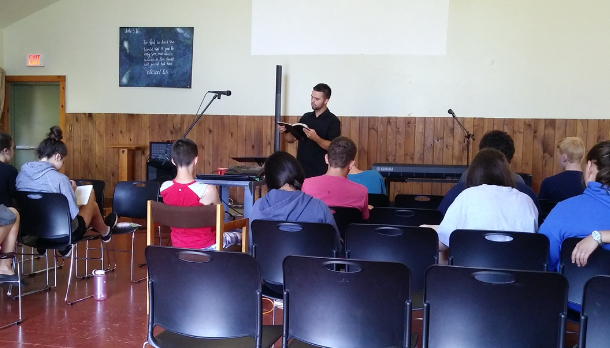 Actually, he had stopped by the Christian camp his brother was working at, and during staff training he heard some the testimonies, and also watched “Shocking Youth Message.” This led to his profession of faith. Pray that he would be held fast, and that it’s real.